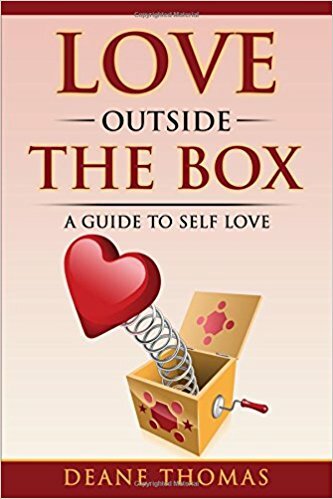 In his groundbreaking new book Love Outside the Box, author and relationships expert Deane Thomas encourages readers to begin their journey toward satisfying and permanent love by first looking within themselves. The book is a treasure trove of excellent advice and commentary on the subject of love — both of self and others. And Thomas, through insightful commentary and personal anecdotes, will soon stimulate your own “out of the box” thinking on this critical subject. In addition, he asserts that love is a powerful energy that takes us over if we truly allow it to. For generations, and, in fact, as far back as humans have roamed the planet, we have been trying to decipher and make sense of the emotion of love — with its myriad of manifestations and applications. In the final analysis, however, love is intensely personal and is the vivid force that speaks most directly to us — and to our souls. He goes on to point out that, in times of crisis, we tend to go into defensive or offensive mode, and “our ego-mind comes out in its full glory.” This is, however, perfectly normal and to be expected. But it is how we follow through with our actions that determine a constructive outcome. Childhood should be a happy time, with liberal doses of love being heaped upon each and every child. But the author, relating that regular abuse — verbal and physical — was laid upon him in his youth, says that, sadly, unconditional love is increasingly not the norm around the world. In the section on Spirituality and the Soul Journey, Thomas really drives home his theme of early childhood being key to future happiness in terms of self-love and feelings of self worth. This can have a paralyzing effect on one’s ability to isolate and nurture our own unique love of self. Finally, he suggests the benefits of doing a “life review” periodically, to make sure we are on track for prioritizing our efforts in our own best interest. “Our days are somewhat congested with activities and tasks for others,” Thomas notes. So much so, in fact, that we have very little free time for ourselves. “The imbalance is very obvious if you consider all that you do on a daily basis. Perhaps this is an exercise we should routinely carry out, almost like a routine service on a car or something else we rely on in our life. “This review is literally a snapshot of our life at a point in time, and this is the window of opportunity for change,” he concludes. These comments are but a small sample of the sage advice and observations offered in Love Outside the Box. Thomas also includes in each chapter a unique and thought-provoking poem that reinforces the points made therein. Purchase your copy today and get started on balancing out your own love inventory today.